A few weeks ago, I visited the Tract Department in the Cook County Recorder of Deeds office (118 N. Clark Street, Room 120, Chicago, Illinois 60602 ) and got some help book and paging some c. 1910 documents that I wanted to view. As the clerk looked at the list, three document numbers stood out to her. One had the letters "M L" following the number. I learned that this means "mechanic's lien" and that those early records aren't available. One of the other two numbers--six digits each--had "C" following it and the other had an "S." The clerk mentioned that they might be "corporation" documents. It seemed a bit odd--the transaction appeared to be between family members--but we book and paged them and I went across the hall to have the corresponding microfiche pulled. The clerk there told me those particular records would have to be retrieved from the warehouse, so I placed the order. Yesterday I stopped in to view the two corporation records. 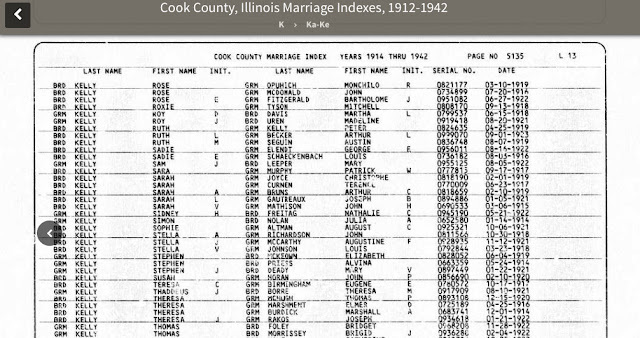 I verified that the document numbers matched but the records were from the 1880s and the names and property descriptions weren't relevant to my search. I asked if there might be another set of records with the same document numbers and in talking to the clerk in the Tract Department trying to puzzle things out all of a sudden we both realized that the "C" might not mean "corporation" at all. What if it meant "Circuit?" And what if the "S" meant "Superior?" What if they referred to court records? I went across the street to the Circuit Court Archives, checked the Superior Court index, and made a discovery.The document listed in the Tract Book (266999 S) was indeed the case number for a divorce granted to the two people whose names were entered in the book. I had actually made copies from that file a few weeks ago. First notice that the lines with case file numbers don't have a "Date of Instrument" date listed, just a "Date of Filing." It makes them stand out visually on the page. Second, notice that the first entry probably says "Di" in the Instrument column. I'm guessing that stands for "divorce." And notice that the note underneath seems to say "AmdBill" which I'm guessing means "Amended Bill." I suspect I will find that the document number followed by a "C" is a Circuit Court case and looking back through my notes, I don't believe I've looked at that file. I'm hoping it might provide new insights into a complicated story. I also think a few of the other entries on the page might be for court documents as well and I plan to follow up. I'm adding this image as a follow-up to the comment made by K Craine. I believe it shows the notation for probate. I'm working on a blog post about Northwestern Memorial Hospital Records which include birth registers from the Maxwell Station. 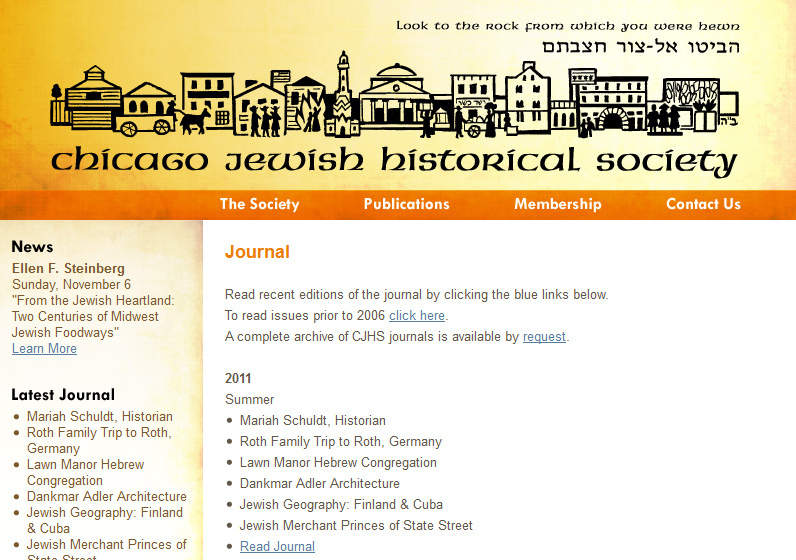 One Google search led to another this evening and I landed on the page for The Chicago Jewish Historical Society. 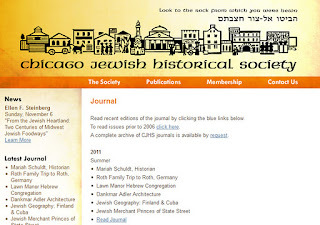 If you have some time, check out their Journal Archive. Simply put, it's rich with history worth reading.